The HO6 Policy provides coverage for the homeowner for building and personal property. However, the dwelling coverage is less extensive due to the Association purchasing insurance to cover the building. Coverage A: Dwelling Coverage: While the Association maintains building coverage for the Association termed “single entity”. The homeowners policy needs to include this coverage and incorporate the additions and alterations, improvements and betterment’s made by the unit owner or previous unit owner. 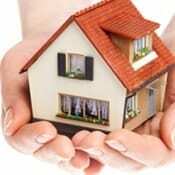 In the event of a covered loss the Association’s policy and homeowner’s policy merge to make the homeowner whole. (Such as sheet rock damage below the Association’s deductible). Coverage B: Other Structures: Covers other structures on the residence premises, set apart from the dwelling by clear space (e.g. tool shed, detached garage). This also includes structures connected to the swelling by only a fence, utility fence or similar connection. Loss Assessments is defined as a charge by the Association to each homeowner collectively for their share when such an assessment is made necessary by a loss to the Association. • In many policies Coverage C will combine personal property and additions/alterations (improvements/betterments) as one limit. Therefore, this coverage limit must represent the full value of your improvements as well as your personal property.